Windows 10 new Build 18298 - Better User Experience - What are the improvements? If you are registered as a Windows Insider, you get to look at the pre-release build 18298 for Windows 10 this week. This new build covers several improvements for a better user experience. 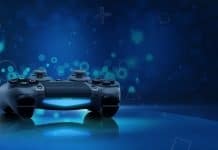 These changes range from improvements in user sign-in to touch keyboard input. Microsoft will use feedback from Windows insiders beginning early next year and will subsequently release the Build 18293(19H1) sometime in April of 2019 after implementing the bug fixes. What will Build 18298 cover? Build 18272 optimized sign-in via a PIN or biometric factors. Prior to that, users had two options, password or just sign-in without any security step. 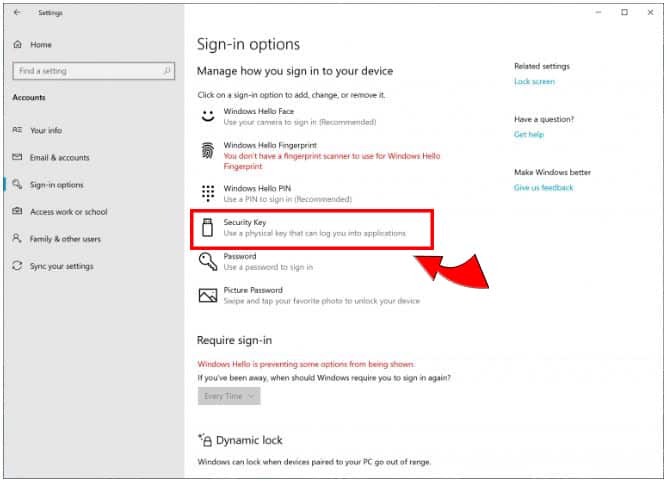 With Build 18298, users can sign-in to Windows 10 using a USB security key. You can create a security key from the sign-in options window. A minor graphics change to the File Explorer icon to go with the new light theme. It would be safe to say that more icons will be improved for the new Windows 10 theme. Currently, files are sorted alphabetically in the download folder. With Build 18298, files that you download will be arranged as recently downloaded first by default. We often have to scroll down a long list of downloaded items to find the one just downloaded. Of course, you can go to the View menu in File Explorer and select Date Modified to accomplish the same result. 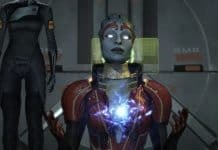 This new improvement will aid the overall user experience. 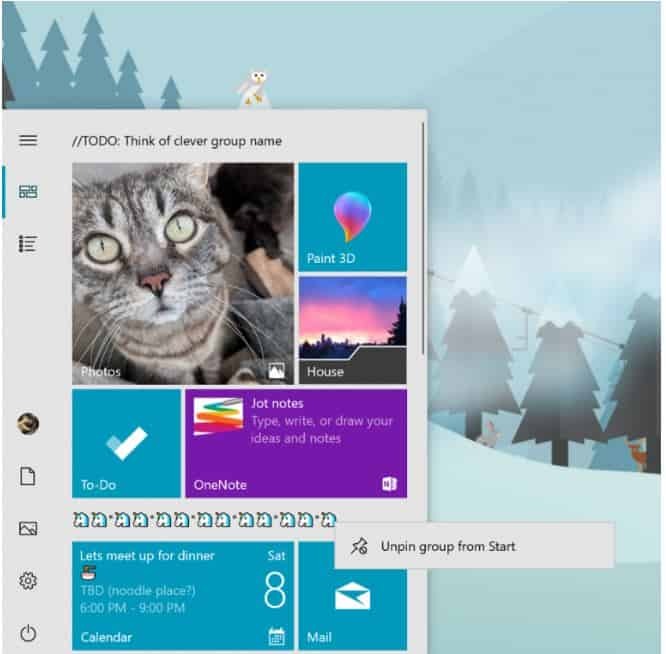 You will be able to unpin groups and folders from Start menu with your right mouse click. Currently, you can only resize a group or folder icon in the Start menu. Typing on a touch keyboard on a tablet PC can be cumbersome because you don’t get to feel the tactile response, like from an actual physical keyboard. Additionally, and especially if you are not used to typing on a smooth surface, your typing accuracy gets a hit for touching an adjacent screen-key area. With Build 18298, Windows will dynamically increase the screen-key size of the anticipated keys based on the new keystroke prediction. This results in higher accuracy of touchscreen typing. Currently, when you right click on the Title bar of a Console window and select Properties, you see Options, Fonts, Layout, and Colors tabs. With the new build, you will see Terminal tab along with the other previously mentioned tabs. 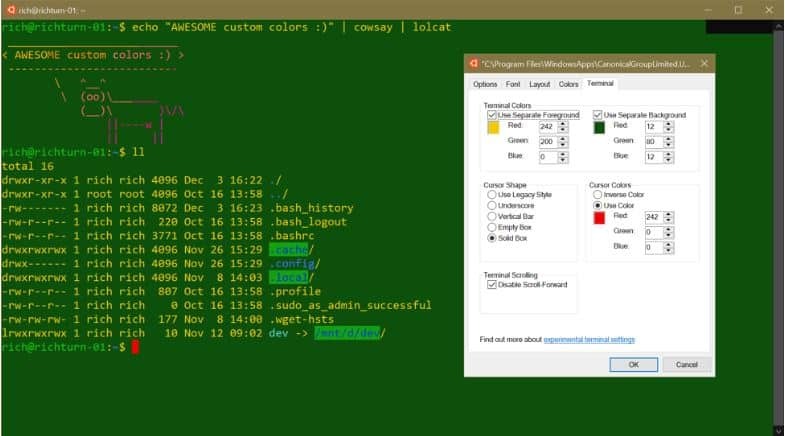 With this new change, you get more granularity with terminal color and background, as well as cursor shape and color. Starting with Build 18298, you won’t need to choose Encoding type to UTF-8 without Byte Order Mark because this will be the default encoding for a text file while saving. Additionally, an asterisk (*) in the title bar of a Notepad window signifies that the text file has unsaved texts. Surprisingly, Microsoft will not accept user feedback for Notepad from the Help menu in Notepad itself. 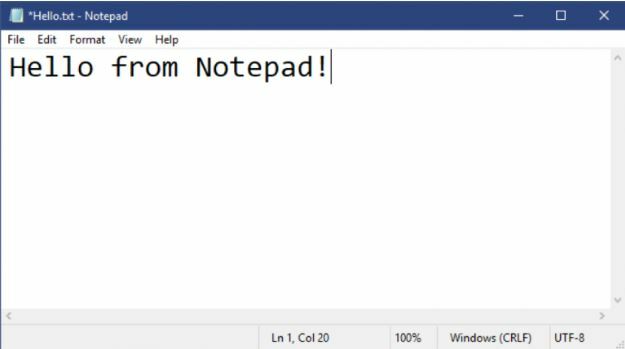 Furthermore, Microsoft has added new shortcuts to open a new Notepad window (Ctrl+Shift+N), save as (Ctrl+Shift+S), and close the current Notepad window (Ctrl+W). You will be able to open and save files with a path longer than 260 characters. Line count for long files will be accurate. Likewise, you will be able to create a new file in Notepad with invalid path issue. Finally, Windows will have better file encoding prediction for placeholder files in OneDrive. 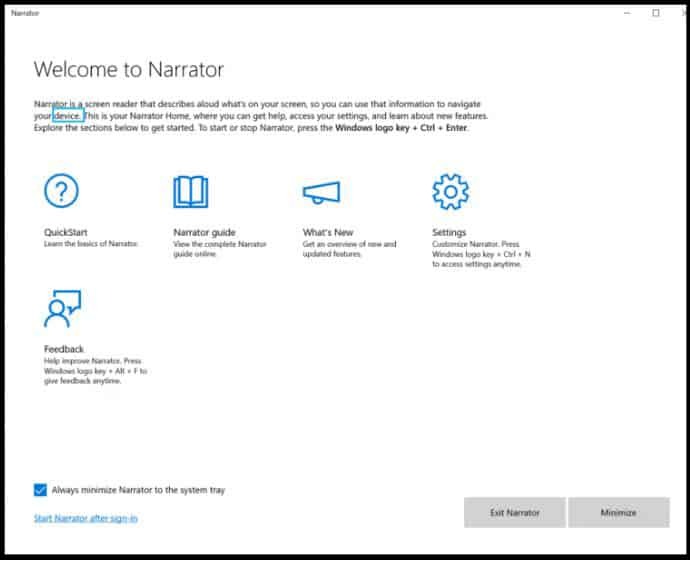 When you open Narrator with Build 18298 installed, you will see Narrator home window where you can access different options including the guide and Settings. Windows Narrator will be able to read URL without reading any colon or forward slashes. There are several new improvements with Narrator to give you a better user experience with more natural reading. 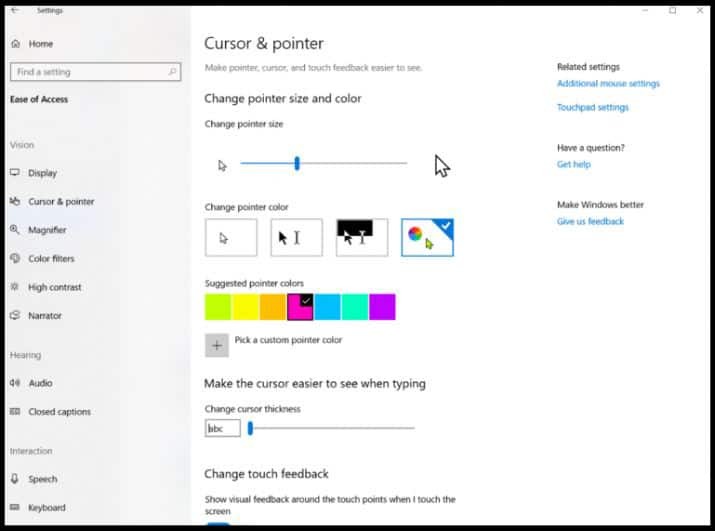 For those who need large and colorful prints to see, Microsoft is introducing bigger cursor sizes and colors. Windows is also changing how their new setup screen looks. You will see an orange indicator over the Power button in the Start menu when you have a pending update that needs a reboot. The next update build will cover Snip and Sketch applications. 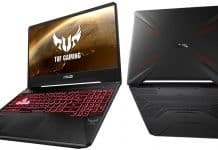 Moreover, you will be able to view screenshots and videos of your game window and share it online from the game window itself.